As another school year is winding to a close (I know it’s more than a month away, but according to my kids, the school year is almost over because they are done learning new things), high school seniors are planning their next move. 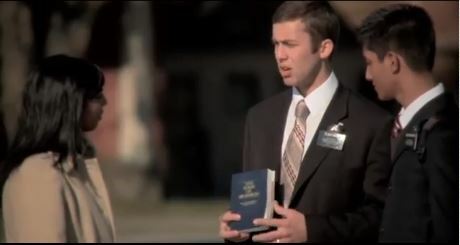 For many young men in The Church of Jesus Christ of Latter-day Saints (sometimes inadvertently called the “Mormon” Church), this means deciding between going on a proselytizing mission for the Church first or taking a semester of college classes before their missionary sabbatical. Since The Church of Jesus Christ lowered the age requirement for missionary service for young men and young women (from 19 to 18 for males and from 21 to 19 for females), thousands more young adults are opting for missionary service. This is especially true for young women. 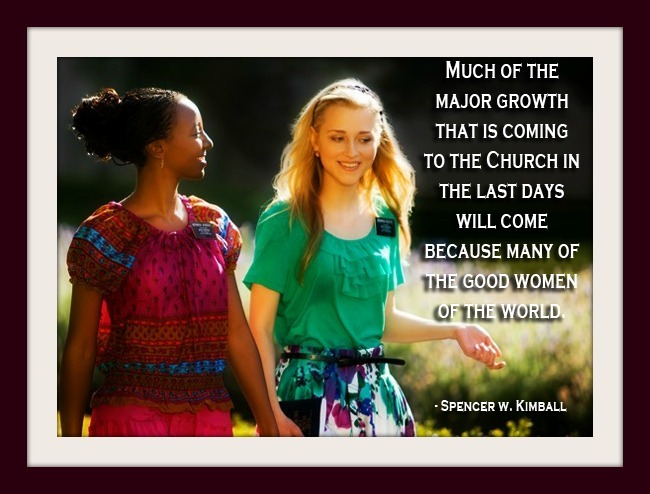 Before the age change, 15% of Latter-day Saint missionaries were young women. Now that has increased to 28%. And Utah colleges and universities are feeling the effects. Enrollment at Utah’s colleges and universities has dipped over the past 3 semesters since the October 2012 announcement lowering the missionary age. And enrollment of young women has dropped more than young men—4.2% of females compared to 3.8% of males. Utah higher education officials are concerned that this means fewer females will graduate from college, a valid concern given that the state ranks last in the nation for degrees earned compared to their male counterparts. Many women aspire to go to college but not necessarily to graduate. They’re thinking they’re going to get married and it’ll be great, and hopefully it will for them, but statistics show it doesn’t always happen that way. But the discussion doesn’t need to be whether women should choose going on a mission over finishing college. Both prepare young adults for the rigors of life—which is what gaining an education is all about. Each of us has a different life path. I am the third oldest of eight kids—and the third oldest girl—in my family. I was the first of my siblings to graduate with my bachelor’s, and I’m very proud of that (maybe too much so, but when you’re the 3rd child, not much of what you do is the first in the family). Of my sisters, 3 went on missions and 4 have finished college. The one sister who served a mission and graduated from college also went on to earn her master’s. All of us have attended college, and the two who haven’t graduated are close (one is really close!). But the measure of our success isn’t in our college degrees or mission experiences, it’s in how we have applied what we learned from our experiences to our lives—and how we’ve passed it on to our children. We do live in turbulent times. Often the future is unknown; therefore, it behooves us to prepare for uncertainties. Statistics reveal that at some time, for a variety of reasons, you may find yourself in the role of financial provider. I urge you to pursue your education and learn marketable skills so that, should such a situation arise, you are prepared to provide. Our education must never stop. If it ends at the door of the classroom on graduation day, we will fail. And we will need the help of heaven to know which of the myriad things we could study we would most wisely learn. We cannot waste time entertaining ourselves when we have the chance to read or to listen to whatever will help us learn what is true and useful. Insatiable curiosity will be our hallmark. The purpose of God’s creations and of His giving us life is to allow us to have the learning experience necessary to come back to live with Him in eternal life. That is only possible if we have our natures changed through faith in the Lord Jesus Christ, true repentance, and making and keeping the covenants He offers all of His Father’s children through His Church. True learning must have a powerful spiritual component. That spiritual element, when it is effective, refines and uplifts the aims of our total education. Thus our education never stops. We are always learning, growing and trying to improve ourselves. Life is our classroom, and experiences our teacher. In this respect, a mission is another educational opportunity. We know that great things happen in the lives of those who faithfully serve full-time missions. Missionary service is not easy, but it is infinitely worth it. Those who serve and return home with honor have established a pattern of living and serving that will bless their own lives and the lives of generations to follow. They return better prepared to be strong leaders and teachers in the organizations of the Church. They return better prepared to be righteous fathers and mothers and able to teach their children the gospel. Full-time missionary service is a blessing for those whom the missionaries find and teach as well as for the missionaries themselves. When the Saints in Utah were still struggling to produce enough food, they started schools. They felt driven to lift their children toward light and to greater usefulness by education. That drive is more than a cultural tradition. It is the natural fruit of living the gospel of Jesus Christ. You see it today across the world as missionaries return home from their brief service in the field. Those who have planted the good word of God and have served faithfully invariably have awakened in them a great desire for self-improvement. And with that comes a desire to learn more and to gain greater skills. The decision to serve a mission will shape the spiritual destiny of the missionary, his or her spouse, and their posterity for generations to come. A desire to serve is a natural outcome of one’s conversion, worthiness, and preparation. And this desire to serve others and to improve oneself stays with the missionary throughout his or her life. Preparation for a mission is important. A mission is a voluntary act of service to God and humankind. Missionaries support that privilege with their personal savings. Parents, families, friends, and donors to the General Missionary Fund may also assist. All missionaries, younger and older, serve with the sole hope of making life better for other people. Raise the bar higher in your intellectual preparation. Take your schooling seriously. It is important to be able to read, speak, and write with intelligence. Expand your knowledge of the world around you by reading good books. Learn how to study. Then apply your improved study habits to learning the gospel of Jesus Christ. Consistently and regularly read from the Book of Mormon. You must recognize that missionary service is emotionally demanding. Your support system is going to be withdrawn from you as you leave home and go out into the world. Many of the ways you use now to cope with emotional stress—like hanging out with friends, going off by yourself, playing video games, or listening to music—are not allowed by the rules of missionary conduct. There will be days of rejection and disappointment. Learn now about your emotional limits, and learn how to control your emotions under the circumstances you will face as a missionary. By doing this, you raise the bar to greater heights and, in effect, fortify yourself against emotional challenges during your missionary service. … Prospective missionaries also must be prepared with the social skills needed to serve a mission. More and more, young people are isolating themselves from others by playing video games; wearing headphones; and interacting through cell phones, e-mail, text messaging, and so on instead of in person. Much of missionary work involves relating face-to-face with people, and unless you set the bar higher in the development of your social skills, you will find yourself underprepared. Let me offer a simple suggestion: get a job that involves interacting with people. As an increased motivation, set a goal to earn enough money from your part- or full-time work to pay for at least a significant part of your mission. I promise great blessings—social, physical, mental, emotional, and spiritual blessings—to every young man who pays for a significant part of his mission. All young men who are worthy and who are physically and emotionally able should prepare to serve in this most important work. … There has been some misunderstanding of earlier counsel regarding single sisters serving as missionaries. We need some young women. They perform a remarkable work. They can get in homes where the elders cannot. But it should be kept in mind that young sisters are not under obligation to go on missions. They should not feel that they have a duty comparable to that of young men, but some will wish to go (“To the Bishops of the Church,” Worldwide Leadership Training Meeting, June 19, 2004, 27). My plea to women and girls today is to protect and cultivate the moral force that is within you. Preserve that innate virtue and the unique gifts you bring with you into the world. Your intuition is to do good and to be good, and as you follow the Holy Spirit, your moral authority and influence will grow. To the young women I say, don’t lose that moral force even before you have it in full measure. Take particular care that your language is clean, not coarse; that your dress reflects modesty, not vanity; and that your conduct manifests purity, not promiscuity. You cannot lift others to virtue on the one hand if you are entertaining vice on the other. These are the unique gifts and talents that young sister missionaries bring in the service of God. Young men and young women each bring different qualities to the table of life—and to missionary service—and both are needed in the work of the Lord. The Lord and His Church have always encouraged education to increase our ability to serve Him and our Heavenly Father’s children. For each of us, whatever our talents, He has service for us to give. And to do it well always involves learning, not once or for a limited time, but continually. I am a firm believer that the Lord will guide us—and our learning— throughout our lives as we seek to follow His will. And He will place us where He needs us. My oldest two sisters served missions for The Church of Jesus Christ. They came home more mature emotionally and spiritually. They were humble and had strong faith in the Lord and in His plan for each one of us. They had a deeper love and concern for others around them. And they were excited to apply the lessons they learned on their missions to their own lives. They served as powerful examples to us, their younger siblings, of how a mission can change you. (Not that they were bad before— they just came home better.) The beautiful thing about a mission is that as you strive to help other people change their lives for the better, the Lord also helps you to change your life for the better. I am a wife and mother of 4 beautiful children in a small town in the mountains of Idaho. We ski as a family in the winter and camp, fish, and go to the beach in the summer. I’m a lifelong member of The Church of Jesus Christ of Latter-day Saints, and I am grateful for the Savior and the blessings of the gospel in my life. Copyright © 2019 AboutMormons. All Rights Reserved.